Based on your response to therapy, your healthcare provider will find the right treatment schedule for you. You should take TAVALISSE exactly as your healthcare provider tells you to take it. Your healthcare provider will check your platelet count, complete blood count including white blood cell count, liver function tests, and blood pressure during your treatment with TAVALISSE, and may change your dose of TAVALISSE as needed. If you take too much TAVALISSE, call your healthcare provider right away or immediately go to the nearest hospital emergency room. Taking TAVALISSE with certain other medicines may affect how the other medicines work and other medicines may affect how TAVALISSE works. Keep a list of them and show it to your healthcare provider and pharmacist before starting TAVALISSE and whenever the list changes while you're on TAVALISSE. 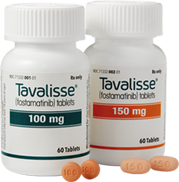 It’s important that you take TAVALISSE every day as prescribed by your healthcare provider. Creating a daily routine will help make TAVALISSE a regular part of your lifestyle. Here are some tips to get you started. Find a method that works best for you. 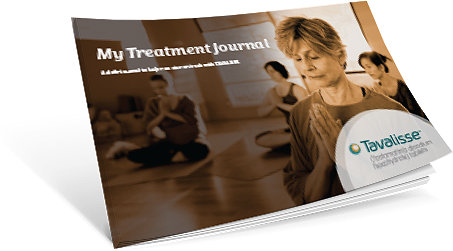 My Treatment Journal is designed to help you incorporate TAVALISSE into your lifestyle, monitor your progress, and help you stay on track. Be sure to share the information you record in this journal with your healthcare provider at each appointment. Take advantage of technology. You can set a daily alarm on your cell phone. Or you can use a smartphone to alert you when it’s time to take your medication. Smartphones and other handheld devices can also provide texts, emails, or other reminders to help you keep track of your dosing schedule. Combine with a daily activity. You can tie taking your medication with a daily routine like brushing your teeth or getting ready for bed. Engage other family members or friends. There may be others in your circle of support who would be willing to help remind you to take your medication. Identify individuals you know and work out a plan that will work for you. is designed to help you incorporate TAVALISSE into your lifestyle, monitor your progress, and help you stay on track.